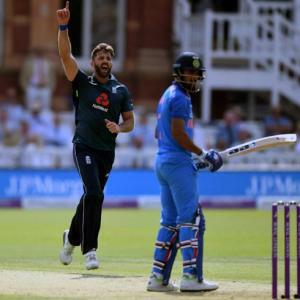 Their middle-order frailties laid bare in the previous match, India would be aiming to plug the loopholes in Tuesday’s series-deciding third and final ODI against England, where a win would fetch Virat Kohli’s men their 10th successive series triumph. Going as far back as January 2016, when they last lost 4-1 in Australia, India have won every bilateral ODI series since, beating Zimbabwe, New Zealand (twice), England, West Indies, Sri Lanka (twice), Australia and South Africa, both home and away. Judging by his exploits on the last two tours to Sri Lanka and South Africa, Bhuvneshwar is a huge miss for India in this ODI series and there is no official word on his fitness or availability yet as far as the third ODI is concerned. India: Virat Kohli (captain), Shikhar Dhawan, Rohit Sharma, KL Rahul, Mahendra Singh Dhoni (w/k), Dinesh Karthik, Suresh Raina, Hardik Pandya, Kuldeep Yadav, Yuzvendra Chahal, Shreyas Iyer, Siddarth Kaul, Axar Patel, Umesh Yadav, Shardul Thakur, Bhuvneshwar Kumar.